It has been a long time since I have been shooting in the streets with a flash and I have been enjoying it tremendously. I really like the surreal results that come from this type of street photography. No matter how many times I go out with my flash, I always seem to get excited about the photographic process and the results. Whenever I visit a new country for street photography I give my flash a go just to see how people will react. To my surprise I have found out that most folk don’t really care about the flash. 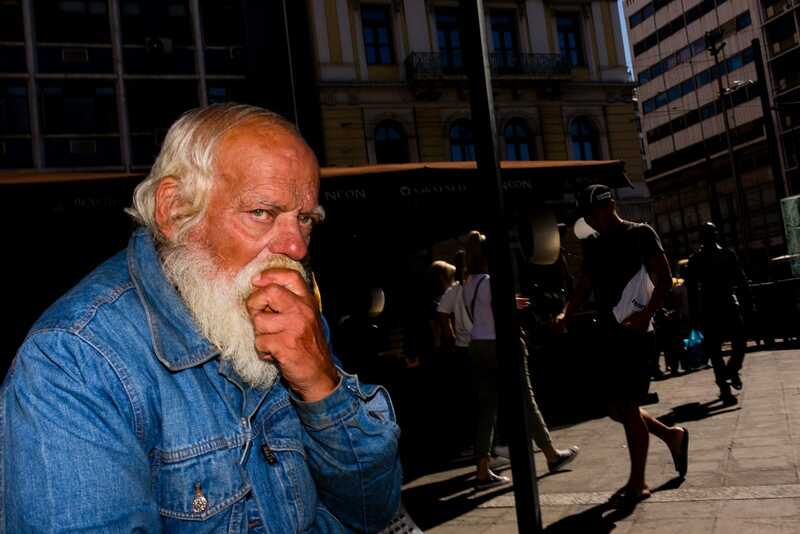 Some even give me the feeling that they accept flash street photography even more than non flash street photography. I think the reason for this is the upfront style of a flash shot that makes it a more honest action and that is how people see it. What I mean is there is nothing sneaky about a flash shot. It is direct and “in your face”. There is no doubt about what the street photographer is doing. Some people find it a little discouraging but most people seem to accept and even enjoy it. This gives me even more incentive to keep on trying this style of street photography and now I feel that I know enough to share my experiences with you. 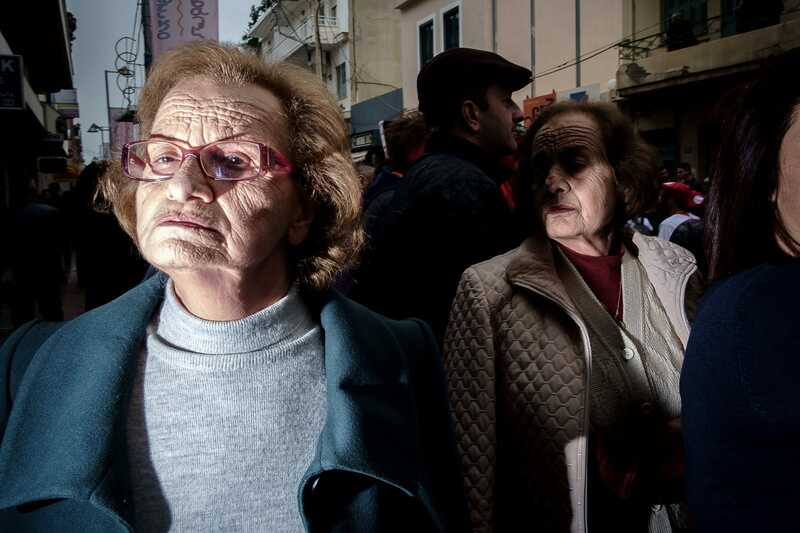 Flash Street Photography workshop in Athens! During the next couple of months I plan to teach Flash Street Photography in Athens, Greece to anyone that is interested. I will be teaching on the 2nd and 4th weekends of both October and November 2016. 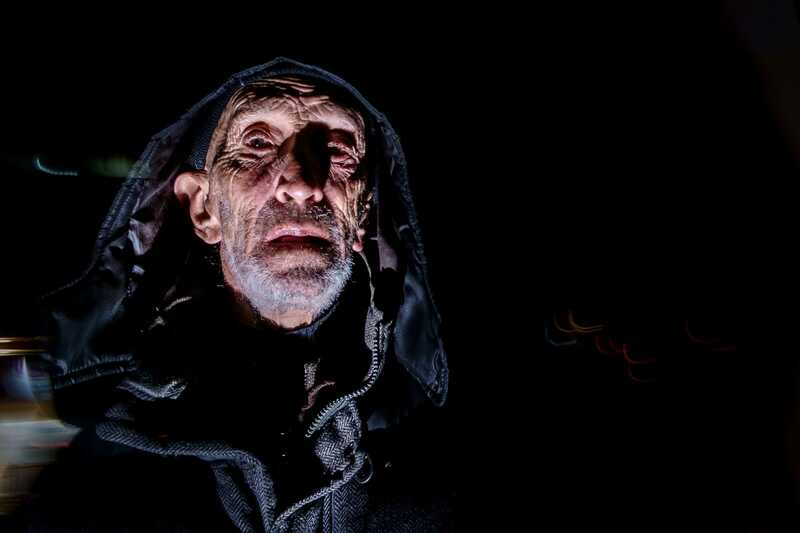 So anybody that would like to learn how to shoot with a flash, on-camera and off-camera can join me for 2 +1 days of insane shooting experiences that you will remember for the rest of your life! What does this 2+1 day workshop include? We will meet in the late afternoon/early evening on the Friday in a bar somewhere in the centre of the city. This meeting’s purpose is to get to know one another, discuss Street Photography and get into the flash street shooting mood. About an hour or two later, we will hit the streets of Athens. It should already be dark so we should all have our flashes with us. 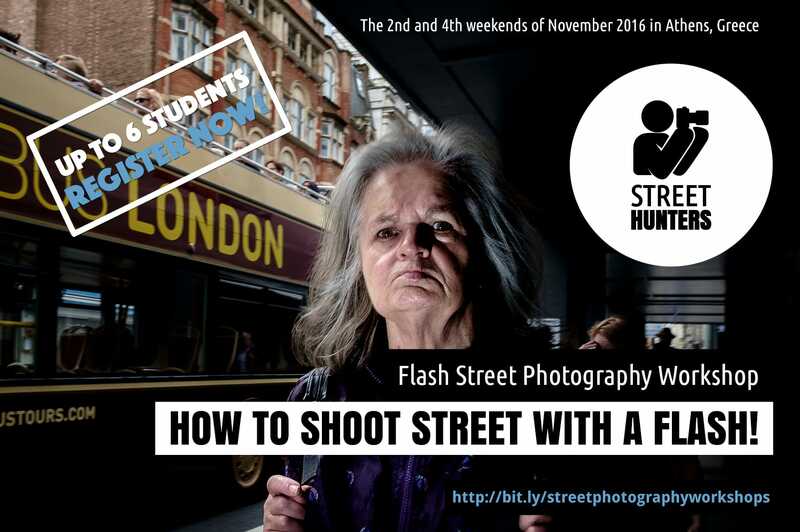 This is a Flash Street Photography course after all! For the first evening we will be shooting until 01:00 am. If we feel like it we might continue for a little bit longer but because the next day will be a long one, it will be best to rest. Our first night out will serve as an icebreaker and it will help jumpstart your Flash Street Photography course. The goal of this first night is to feel comfortable with flash in hand and with flashing people in the streets even if you don’t know exactly what you are doing at this point. This isn’t going to be a teaching night, it will be just a “dive in the deep end” experience, so don’t worry about not getting things done well. Theory and technical details will be shared during the next couple of days. All the above will probably take us all the way into the night. Be prepared to get pretty tired and worn out, so take advantage of that free morning and catch some Zzzzzs. Saturday night in Athens is going to be wild! Like on Saturday we will meet again at 11:00 in the morning. We will start with refreshments and then we will go on missions. Our missions will be to practice shooting using the techniques we discussed the previous day split up in pairs. So we will be experimenting with a lot of flash during the day and we also try and get some street portraits this time using the flash to further enhance colours and clarity of our subjects increasing the dramatic effect. Even though most Greeks speak English as a second language you will be shooting portraits when you each pair with me because I can communicate in Greek, just in case we meet someone that can’t speak the English language. Once our missions are over, we will head for lunch. After lunch is over and for the rest of the day we will be looking at our photos on our computers or tablets and discussing the best ways to select and process them in Lightroom. The workshop will end at 19:00. The cost of the workshop is €325 and it doesn’t include accommodation, travel or dining expenses. The workshop introduction will start on Friday night from in the form of an informal get together as mentioned before. The workshop ends officially on Sunday early evening! The workshop will take place in the Streets and Bars of Athens, Greece. Because this is an intermediate course, there will be no presentations and long theoretical talks. Most of the action is going to be hands on. In order for me to be able to focus on each and every one of you without making anyone feel left out, the course will not be accepting any more than 6 students. So, the maximum amount of students in the workshop is 6. As mentioned before, the Travel and Accommodation expenses are not included in the cost of the “Flash Street Photography workshop in Athens”. You must provide for your own Travel and Accommodation plans. It is advisable to book a flight with cancellation / refund options, in case of a cancellation of the workshop due to health reasons or insufficient students. For more about cancellations, please read the next section. You are free to cancel and get a full refund, as long as you give at least 2 week’s notice before you cancel. If you fail to cancel at least 2 weeks before the official start date of the workshop, we are not in any way obligated to refund you. If you wish to cancel at the last minute, this will affect all the members of the workshop, so we hope you understand and don’t do that unless it is for a very serious reason. Street Hunters has the right to cancel a workshop that hasn’t met the minimum requirements of at least 2 students one month before the official date of commencement of the workshop. As mentioned before, if a workshop is cancelled, Street Hunters will not be responsible for any travel or accommodation plans you have made. We strongly recommend making flexible plans with refundable options. If a large number of students back out at the last minute, the workshop will have to be cancelled. What will I learn at the “Flash Street Photography workshop”? You will learn everything mentioned in the section “What does this 3 day workshop include” mentioned above. You can contact Street Hunters at contact@streethunters.net with any questions in regards to the workshop. I will get back to you with a reply within 24 hours. In mid 2013, Spyros and Andrew Sweigart co-founded StreetHunters.net. 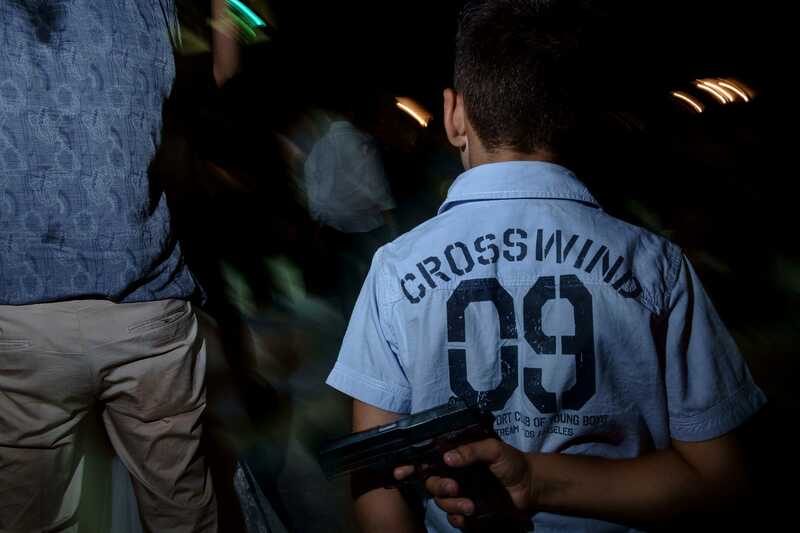 A website that is now a definitive resource for Street Photographers all over the world. 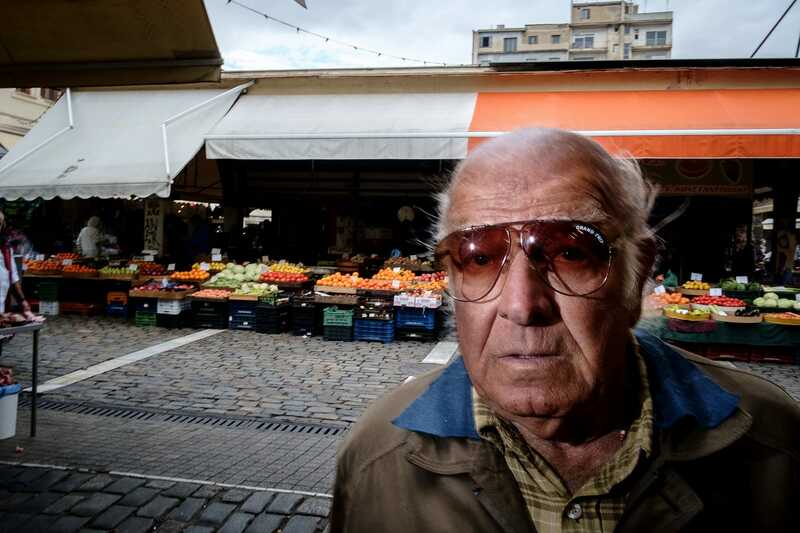 Spyros has contributed with more than 200 blog posts about Street Photography related subjects. 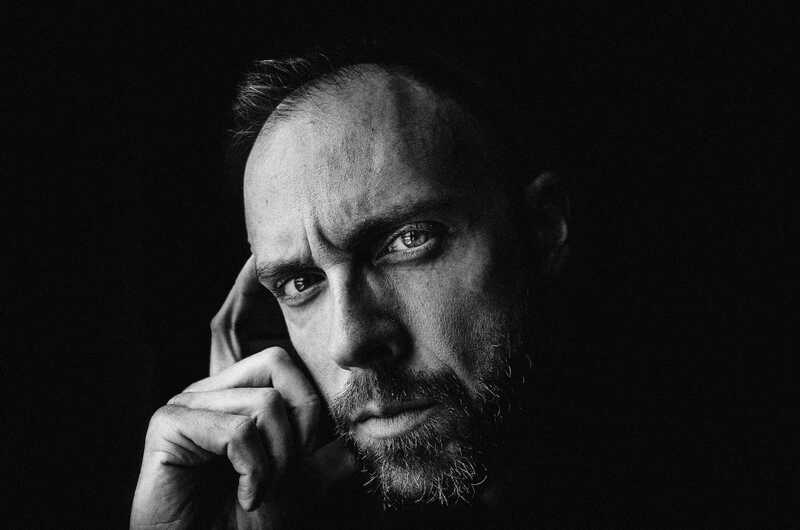 You can read all of Spyros Papaspyropoulos Blog posts if you visit his Author page or you can see him sharing his knowledge through a series of videos he produces for StreetHunters.net called Street Hunts. If you wish to see his work, feel free to visit his Flickr Albums. Please click on the Paypal payment button below to make your deposit for the workshop. The 2nd weekend of October is already SOLD OUT! The 4th weekend of October is already SOLD OUT! The 2nd weekend of November is already SOLD OUT! The 4th weekend of November is already SOLD OUT! Register while there are still free spots for the 4th weekend of October and the 2nd and 4th weekend of November.